In this article, you will be introduced to c preprocessors and you will learn to use #include, #define and conditional compilation. The C preprocessor is a macro preprocessor (allows you to define macros) that transforms your program before it is compiled. These transformations can be inclusion of header file, macro expansions etc. Here, "stdio.h" is a header file. The #include preprocessor directive replaces the above line with the contents of stdio.h header file which contains function and macro definitions. That's the reason why you need to use #include <stdio.h> before you can use functions like scanf() and printf(). You can also create your own header file containing function declaration and include it in your program using this preprocessor directive. Visit this page to learn on using header files. You can define a macro in C using #define preprocessor directive. Here, when we use c in our program, it's replaced with 299792458. Every time the program encounters circleArea(argument), it is replaced by (3.1415*(argument)*(argument)). 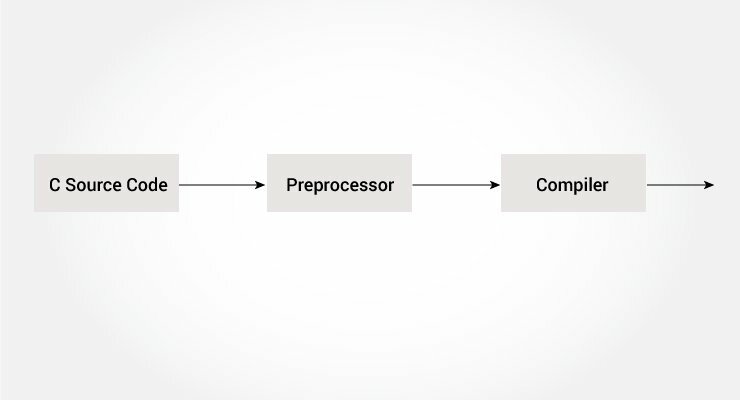 Visit this page to learn more about macros and #define preprocessor. In C programming, you can instruct preprocessor whether to include certain chuck of code or not. To do so, conditional directives can be used. It's similar like a if statement. However, there is a big difference you need to understand. The if statement is tested during the execution time to check whether a block of code should be executed or not whereas, the conditionals is used to include (or skip) certain chucks of code in your program before execution. To use conditional, #ifdef, #if, #defined, #else and #elseif directives are used. Here, the conditional codes are included in the program only if MACRO is defined. Here, expression is a expression of integer type (can be integers, characters, arithmetic expression, macros and so on). The conditional codes are included in the program only if the expression is evaluated to a non-zero value. The optional #else directive can used with #if directive. The special operator #defined is used to test whether certain macro is defined or not. It's often used with #if directive. There are some predefined macros which are readily for use in C programming. __TIME__ String containing the current date. The following program outputs the current time using __TIME__ macro.